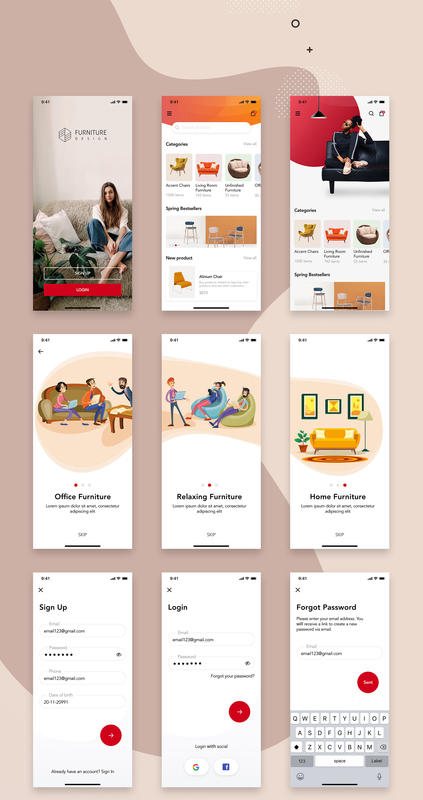 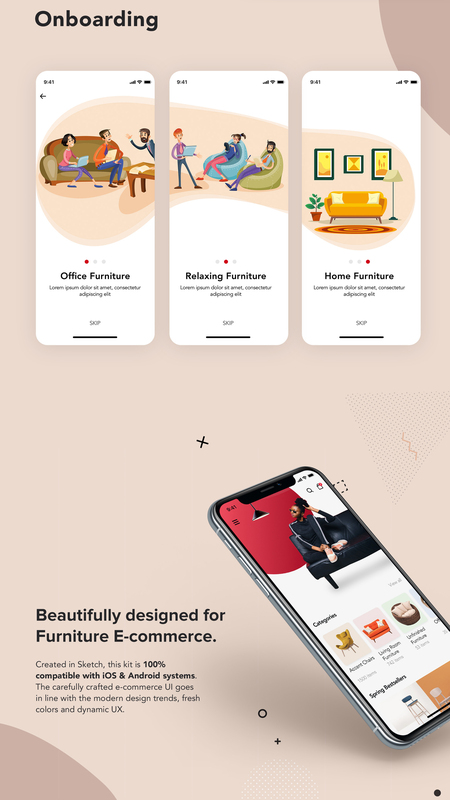 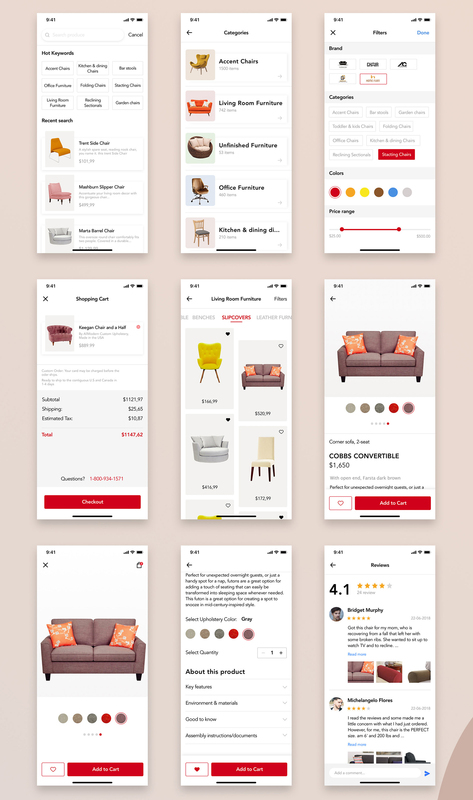 Furniture Design UI Kit is a high-quality pack of 26+ screens designed to kickstart your e-commerce projects and accelerate your design workflow. 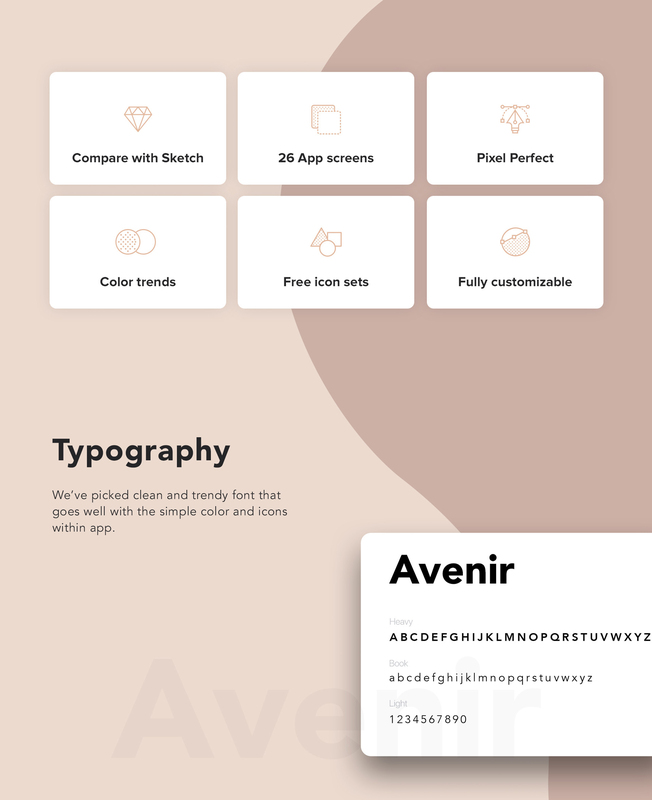 Created in Sketch, this kit is 100% compatible with iOS & Android systems. 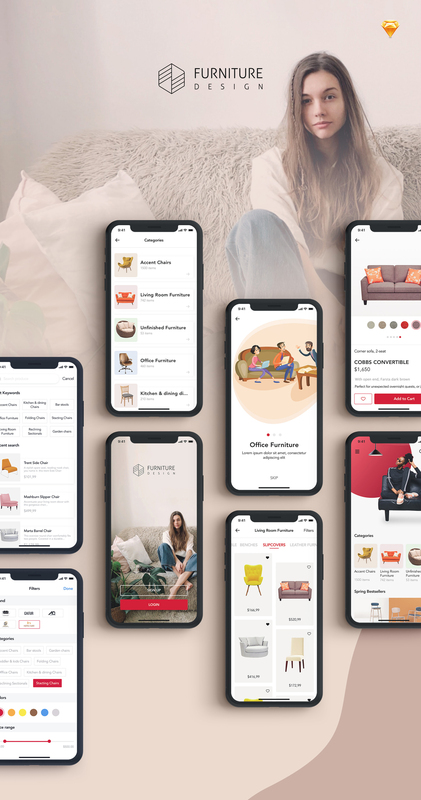 The carefully crafted e-commerce UI goes in line with the modern design trends, fresh colors and dynamic UX. 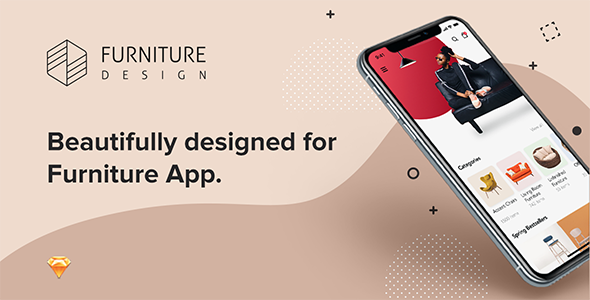 You can easily customize the screens, allowing for great flexibility and ease-of-use when it comes to putting the finishing touch on your project.